How good are your CV writing skills? Find out by helping Sam. You will excite and facilitate people to get involved with sowing, growing and enjoying growing food and flowers and to share examples of the benefits. Your focus will be to develop and implement engagement activities that extend the reach and impact of the Get Everyone Gardening Scheme 2015 – both on the ground and online. Your role in our partnership team will be focused developing activities that encourage community participation in gardening. You should have notable achievements in engaging people with community activities and experience of working with volunteers, mentors and/or youth networks. You should also be able to communicate effectively and have a keen eye for detail. Ideally, you will be enthusiastic and skilled in a relevant subject. This is Sam’s CV. [PDF] He’s brought it to you for some feedback before submitting it. What advice would you give Sam to help him improve his CV and increase his chances of being invited for interview? Is it easy to read? Is it attractive to look at? Do you want to read it and find out what Sam has to say about his suitability for the role? Is it too long? Too short? What could Sam do to improve the presentation? Are Sam’s achievements clear? Is it obvious how Sam’s experience connects with the demands of the role? Has Sam provided any evidence for relevant skills and experience? 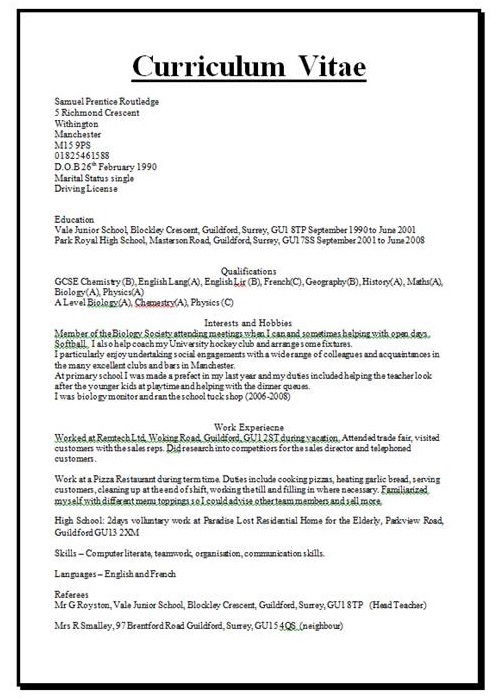 How would you suggest Sam improve the content of his CV? Make your suggestions by commenting on this blog post. Sam’s revised CV and a plenary discussion of the feedback will appear on Friday.